Earlier this month, we reported on the latest numbers of people who have lost coverage in Arkansas due to the Medicaid work requirements. The Center on Budget and Policy Priorities (CBPP) has a new blog post which looks at the total effect this new policy has had. This post has been added to our blog post from last year which highlights all the news stories that we have published as well as several resources on Medicaid work requirements. Now that Open Enrollment Year 6 (OE6) has ended for most, AAHD is continuing to work with Community Catalyst and other partners to highlight the benefits of health insurance and how to get the most out of your coverage. 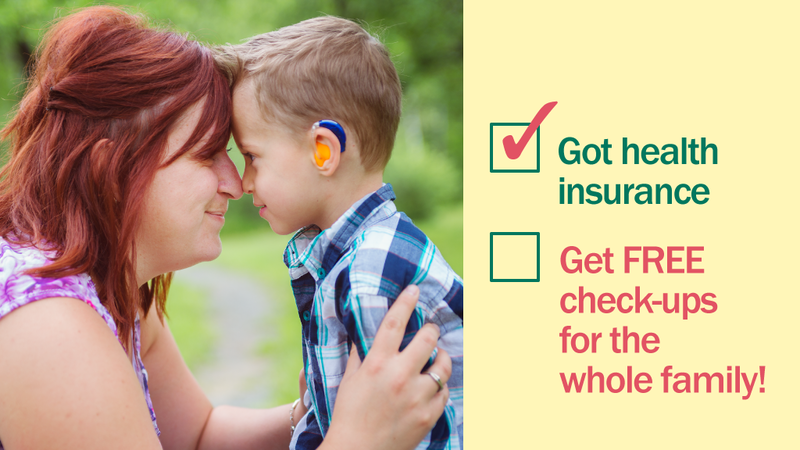 For more graphics like the one below which can be used to remind consumers that health insurance provides for free annual checkups for their whole family, check out our newest blog post about the project. Previously, we reported on the new guidance from CMS on §1332. A new blog post from Health Affairs examines these issues from the state perspective. Join the NASUAD Disability Business Acumen Center on Wednesday, January 23, 2019 from 12:30-1:30 PM ET as they present a webinar entitled “Building the Framework for IDD Quality Measures.” This webinar will be presented by Kathy Carmody, CEO of the Institute on Public Policy for People with Disabilities as she describes how quality is used and managed in MLTSS and Carli Friedman, PhD with The Council on Quality and Leadership as she describes their roadmap for key measures which would support people with IDD to receive high quality services and supports. If you want to learn more about our project with the NIH’s All of Us Research Project, check out the Frequently Asked Questions document about the program.